A stainless steel kitchen sink is sleek, hard-wearing and classically practical. It’s easy to clean and care for, and it won’t chip or get cracked. We offer a range of stainless steel sinks (single bowl, one-and-a-half bowl, double bowl and more) to fit cabinet mountings from 300mm to 1000mm and larger. Explore our full collection of stainless steel sinks online, and call 0116 274 4059 to discuss your order. Or why not visit our large East Midlands showroom in Leicester to see the units on display. 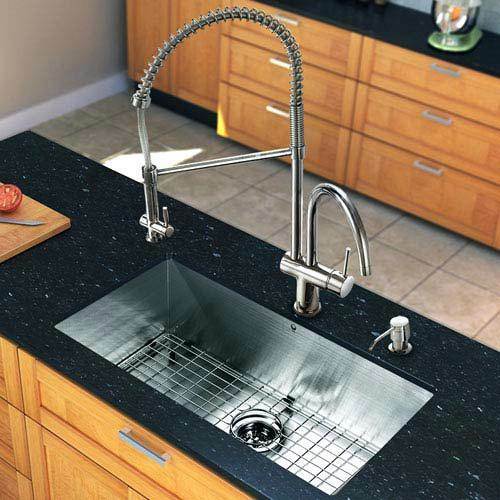 Our friendly experts are ready to help you choose the right sink for your kitchen.